Mike Brady spent the majority of his time building his career as producer and writer of jingles for Television and Radio. One such jingle brought Mike back into the public spotlight. He was asked to record a promotional song for Channel Seven’s Football program. This song being “Up There Cazaly” went on to be the biggest selling local single of its time, with sales in excess of 250,000 and has become the unofficial Anthem of all Australian Rules Football Fans. His song “One Day In September” has become part of the Football language. He also co-wrote and produced Greg Champions huge hit “That’s What I Like About Football. Over the years, he has been responsible for some of Australia’s most catchy advertising jingles. His jingles include; classics such as “Lucky, Your with AAMI” and “Hard Yakka” and many current music tracks on TV. Mike has written jingles for most of Australia’s famous brands. He talks of his adventure into various commercial ventures with varying degrees of success and some mighty failures. How he turned a multi million fortune into a negative balance – and slowly back again. All of his solo presentations combine humour and music in an entertaining way to illustrate what has been a lifetime jam-packed with highs and lows but very little down time. Mike puts great emphasis on the benefits of staying close to what one knows and the power of fighting back and winning. 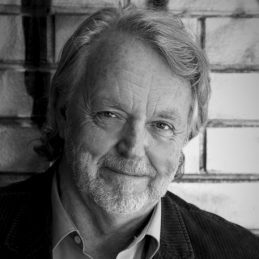 In June 2013 Brady was appointed a Member of the Order of Australia (AM) for services to the community and to music as a composer and performer. On Monday 3rd July 2017 Mike was honored to be named Victorian of the Year in a ceremony in Melbourne.